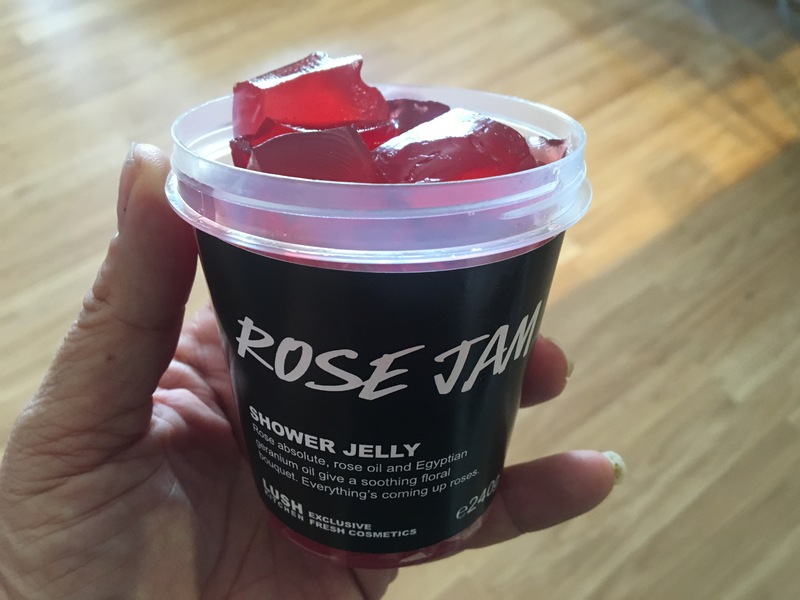 Lush has made many products with their “Rose Jam’ scent, and this is my favorite of the bunch. I never knew Rose Jam could be even better, as i thought it was already a perfect fragrance. Somehow Lush made the shower jelly even more fragrant, and a wee bit sweeter, or seemingly to my nose, than other Rose Jam scented products. I love the smell of this even more than the Lush Rose Jam perfume believe it or not. Not only does this jelly’s gorgeous fragrance stay on my skin long after i’ve taken a shower, but it’s more moisturizing than other Lush jellies because of the argan oil in this jelly. See my Twilight Jelly page too! 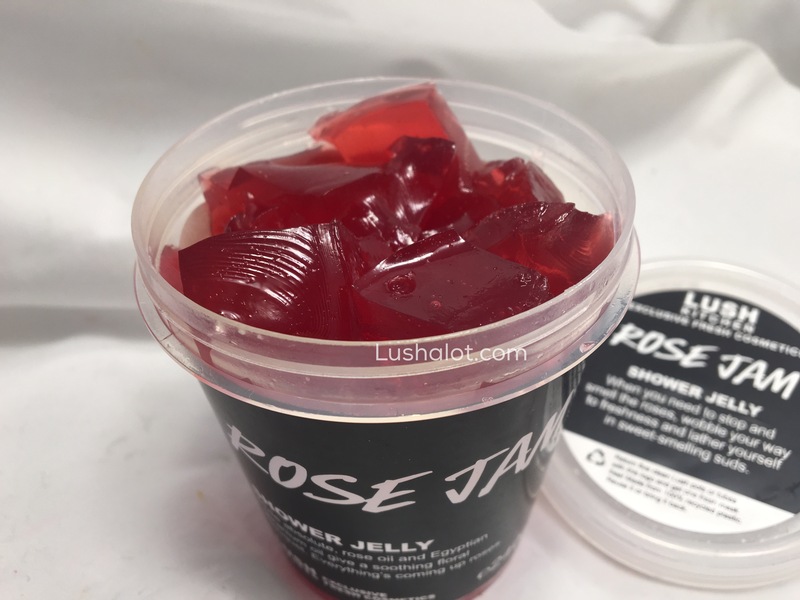 Posted on January 7, 2016 by Lushalot	• This entry was posted in Jellies, limited edition, Lush Kitchen menus and product demos and tagged 2016, gernaium oil, lush kitchen orse jam jelly, lush kitchen rose jam jelly, lush rose jam jelly review, rose jam jelly, rose jam jelly demo, rose jam shower jelly, rose oil. Bookmark the permalink.